Discussion in 'Price Drops, Must-Have Freebies, and Deals' started by RocketRainbow, Nov 16, 2014. 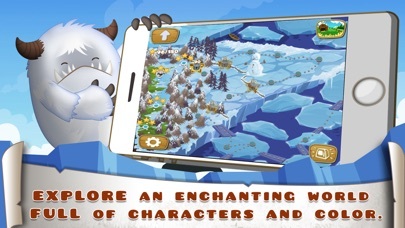 “90% - The game perfectly fits mobile devices with its easy touch controls and convenience for short bursts of play. 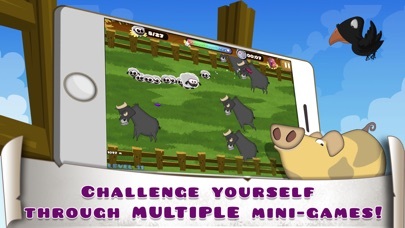 Definitely check it out if you’re looking for a challenging puzzle game on the go.” - noobist.com “along with clever items, varied stage types, and an overall charming aesthetic that make Hay Ewe a delight to play.” - 148apps.com “Hay Ewe offers intriguing gameplay that rewards the player with a sense of achievement once you have worked out what to do” - push-start.co.uk Game of the year nominee - TIGA 2015 Indie Game Award Showcase finalist - Momocon 2015 Indie Prize finalist - Casual Connect Amsterdam 2015 Hay Ewe is a ewe-nique puzzle adventure game centering on the adventures of Matilda the sheep! Navigate seriously challenging puzzles and avoid treacherous obstacles with your chain of lambs to deliver them to safety. Have fun using an array of boosts and cool items along the way. Get ready for a baaa-rilliant time and beware the farmageddon! STORY: "Matilda is a natural born leader with the unfortunate task of rounding up the ever-mischievous lambs.” Foxy claims full responsibility for the woolly pandemic. It was her steady paw (and starved determination) that cracked the barn padlock! You can imagine her surprise when she was greeted by not just a handful of lambs – But a thousand!! A quick dive into a nearby bush prevented her from being squished by a tidal wave of wide-eyed wool. Once the thunderous bleating faded into the distance, Foxy knew it was safe to pursue her dream – And hopefully a belly full of lamb-chops along the way! Now you must help Matilda to rescue the lambs before they end up in Foxy’s stew! 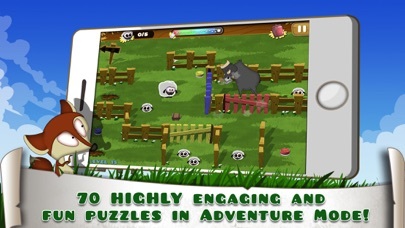 Keep your wits about you as you try to solve challenging puzzles, opening gates and moving crates to get to the lambs. Use your reactions to avoid charging bulls or polar bears. Distract grumpy goats and avoid splatters of milk from moody cows as you bring your lamb chain to the safety of the barn. Discover special boosts such as a candy magnet to help you grab candy to spend on stale tuna from Amoozon to keep the sharks at bay! Win prizes as you complete each puzzle and wear your top hat and moustache with pride! And when it’s all done and dusted use the Level editor to challenge your friends online……. 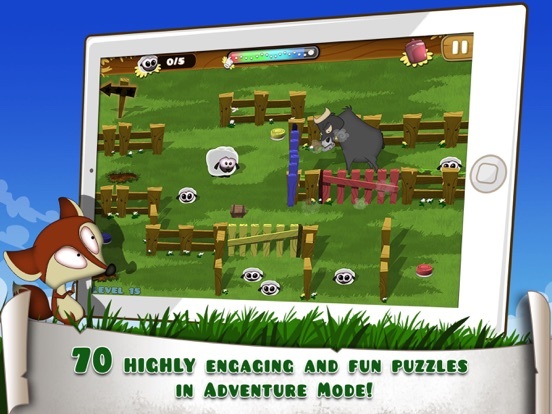 FEATURES: * Conquer 70 FUN PUZZLES across Adventure mode. 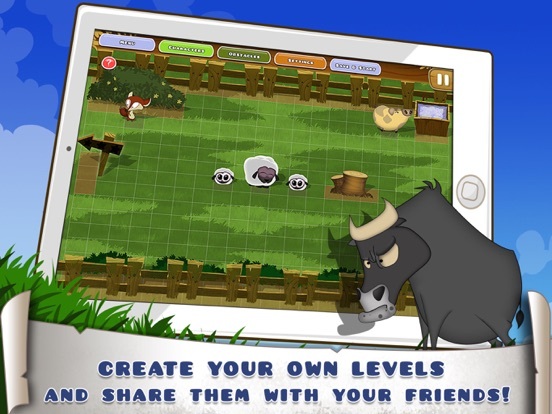 * CREATE YOUR OWN LEVELS and share them with friends. 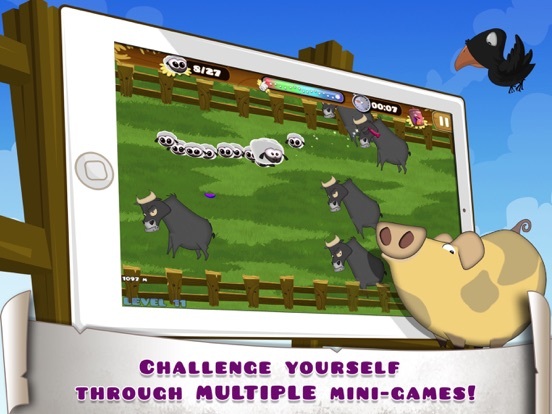 * MULTIPLE MINI-GAMES to challenge yourself and friends. * COLLECT COOL ITEMS and BOOSTS to aid you on your journey. 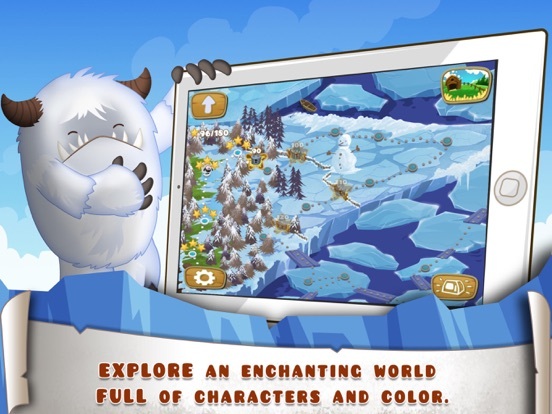 * Explore an ENCHANTING WORLD full of characters and colour. 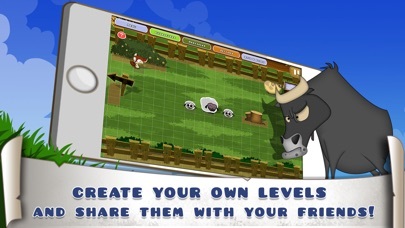 * COMPETE WITH FRIENDS on the leaderboards and beat their own puzzles. * COLLECT CANDY to spend on hats, moustaches and unicorn conversion kits! * STAY TUNED More levels, characters and gameplay variations are on the way! Website - http://www.hayewegame.com THANK YOU!